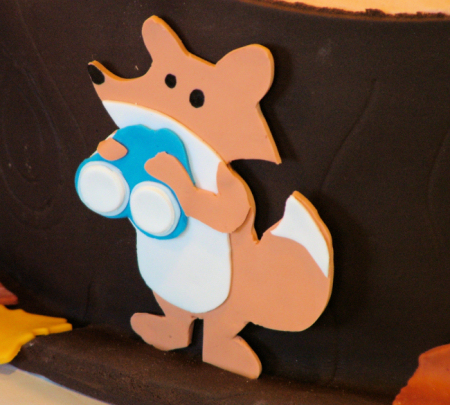 This was November’s work cake for my husband. 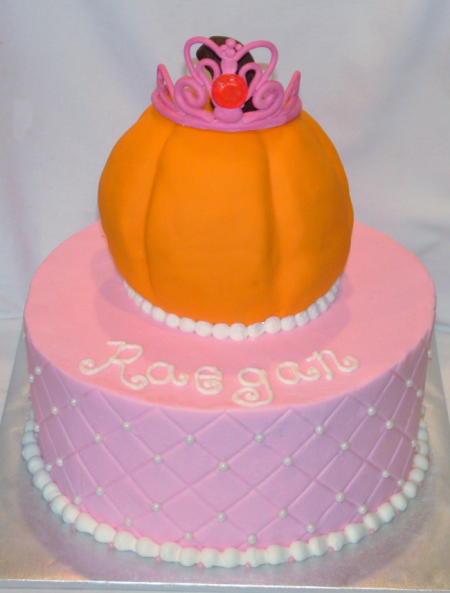 8″/10″ cake with buttercream icing and fondant leaves. 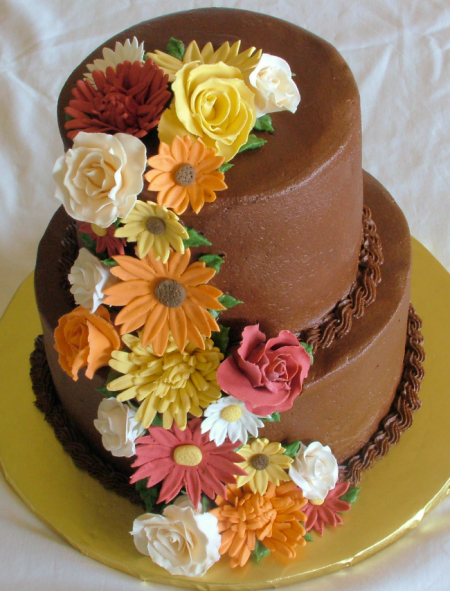 The flower is gumpaste. 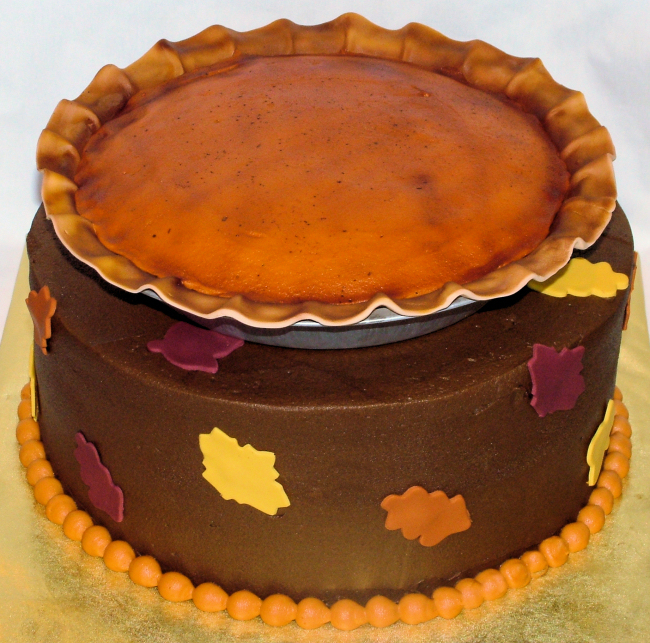 Well with this October cake, Fall is officially here! 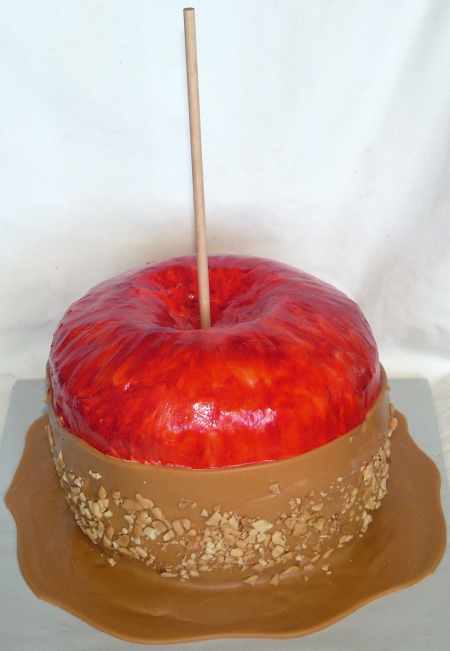 🙂 I have to give credit where credit is due for the inspiration for this cake – one of my favorite magazines – Food Network. They featured this awesome cake in their most recent issue of the magazine, but you can see the instructions online on their website. While I didn’t follow their cake/icing suggestions, I did follow their basic construction directions and had great success. 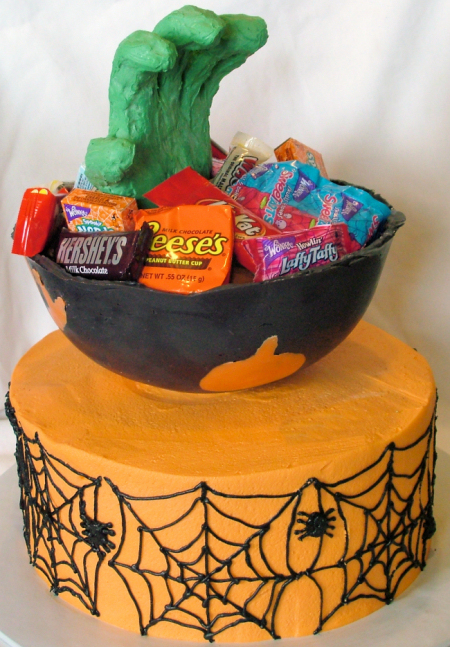 I would rate this as a pretty easy project, provided you have played around a little with making a cake before. Overall I found it went together pretty fast – I spent much of my time waiting for the freezer parts for it to firm up. 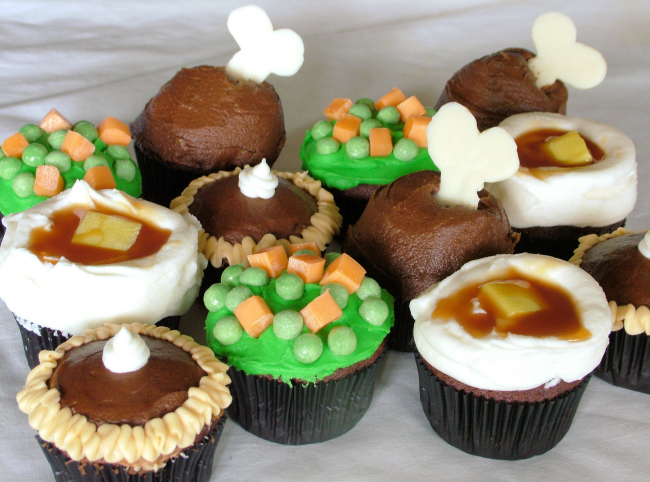 But I kept busy during that time by baking some spice cake cupcakes and whipping up some cream cheese icing for those. 😉 I’d say that’s a good use of free time! 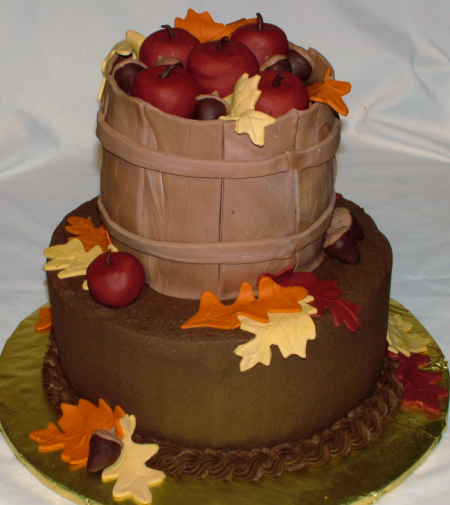 Here is the Nov cake for DH’s work. 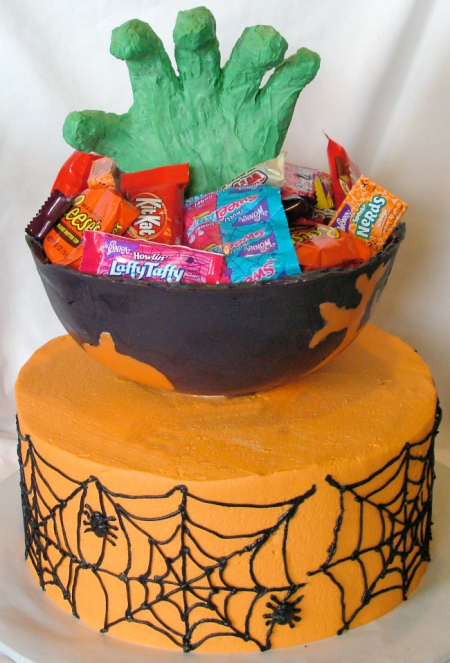 This is a 10″ round cake with chocolate buttercream and a 6″ round, 3 layer cake on top, iced in chocolate buttercream and fondant strips on the outside to make a “basket”. 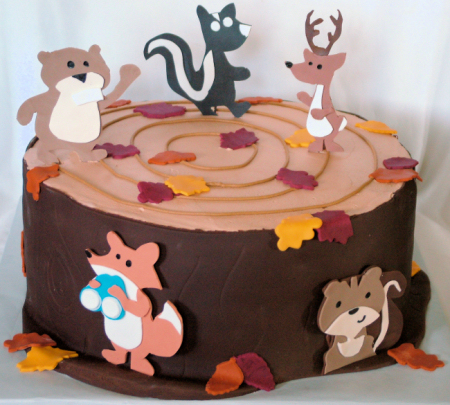 All of the leaves, apples and acorns are fondant. Happy Fall! This cake was for the Sept birthdays at my husband’s work. 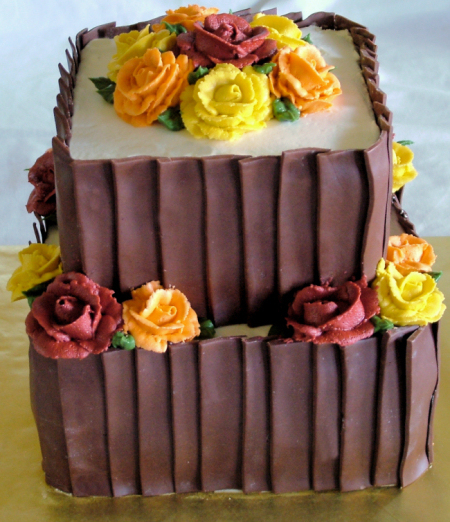 The brown side parts are made of a chocolate candy clay. All the rest is buttercream icing. 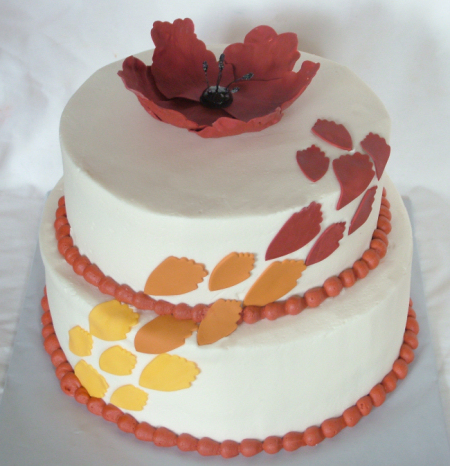 This cake was a fall themed one – not quite fall yet but I still love it. The colors are so pretty. 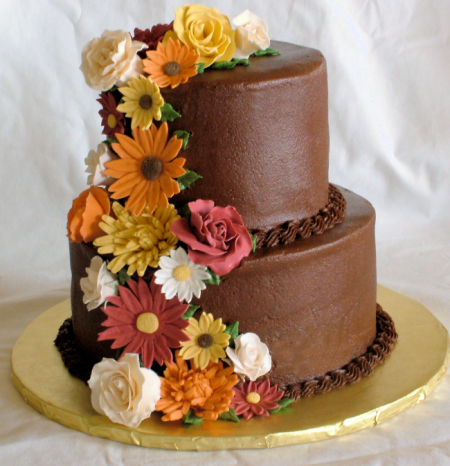 All of the flowers are gumpaste, cake is buttercream iced.